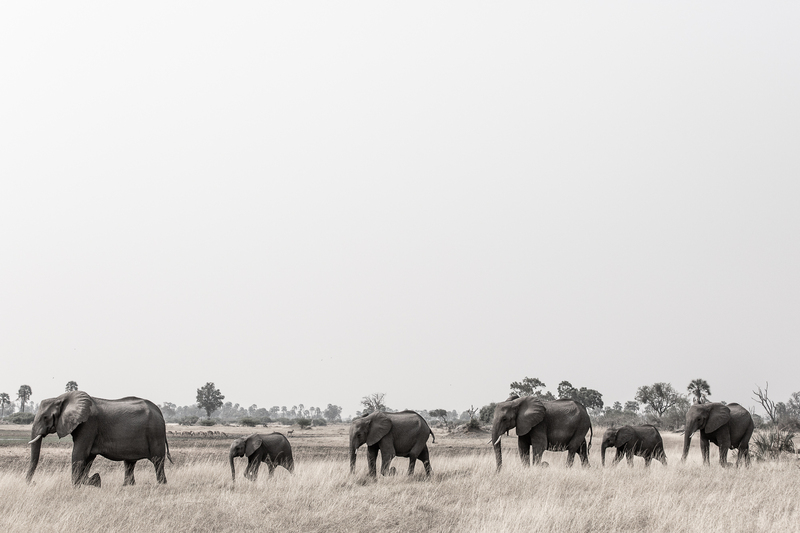 A herd of elephants along the fringes of the Okavango Delta in Botswana walk in single file to a river. Lead by the Matriarch, the oldest cow in the herd, with the longest memory and most experience. Like giant grey ghosts drifting across the savanna. Watching a herd like this walking in a line, seemingly in slow motion is a calming and beautiful thing.